Social Worth Technologies Pvt. Ltd, which runs online lending platform EarlySalary, has raised Rs 5 crore ($780,675) in debt financing from IFMR Capital. The working capital infusion will help accelerate the company’s growth plans, the startup said in a statement. EarlySalary – which offers salary advances and loans to young working professionals – aims to disburse more than 30,000 loans per month by end of this financial year. IFMR Capital CEO Kshama Fernandes said, “Our strategy has always been to identify high potential companies at an early stage and support them by providing capital, structured product solutions and access to a wide spectrum of investors. The association with EarlySalary fits right into that philosophy." “Since lending is our main business, money is working capital for us. Getting access to debt for an early stage lending startup is the key to success. With IFMR becoming a debt provider, we hope to leverage multiple times on our current equity base and build a large lending book," said Akshay Mehrotra, co-founder and CEO, EarlySalary. EarlySalary was founded by Mehrotra and Ashish Goyal in 2015. Mehrotra, who is CEO, was earlier chief marketing officer at Future Retail Ltd and PolicyBazaar.com. Goyal, who is CFO, is a chartered accountant and previously served as chief investment officer at Bajaj Allianz General Insurance. The company offers small short-term loans to salaried individuals on a mobile app. It partners with small- and medium-sized companies to reach potential customers. EarlySalary currently has operations in eight cities—Mumbai, Pune, Chennai, Bengaluru, Hyderabad, New Delhi, Jaipur and Ahmedabad—and is looking at expanding to other cities as well. In May this year, the firm had raised $4 million (Rs 26 crore) in its Series A funding from IDG Ventures India and mortgage lender Dewan Housing Finance Corp (DHFL). The company had raised $1.5 million (Rs 9.9 crore) in seed capital from Transcorp Group’s Ashok Agarwal in November 2015. The fin-tech sector in India has gained a lot of traction in recent years with many players emerging in payments, lending, insurance and personal finance segments. At least 25 fin-tech startups had raised funding between January and May this year, according to a VCCircle analysis. Several startups have emerged in the online lending segment over the past two years, and most of them are targeting small- and medium-sized businesses. Recent deals in the lending segment include Shubh Loans raising $1.5 million (about Rs 10 crore) in a pre-Series A round from SRI Capital, Japan’s BeeNext and Pravega Ventures. KNAB Finance raised a little over Rs 2.5 crore in two rounds from InCred and more than a dozen individual investors. InCred has also invested in fin-tech startup DigiLend Analytics & Technology Pvt. Ltd.
Bengaluru-based Billionloans Financial Services raised $1 million in seed funding from Reliance Corporate Advisory Services Ltd, a wholly owned subsidiary of Reliance Capital Ltd, in July. 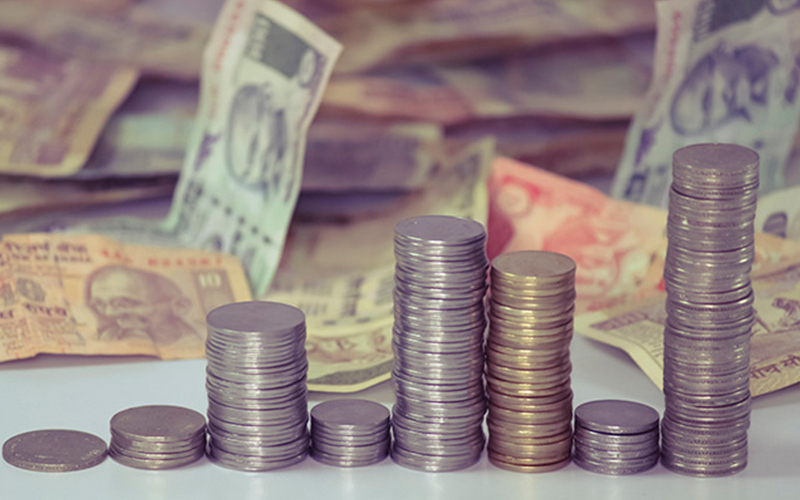 In June, Delhi-based digital lending platform Stashfin raised $5 million in a pre-Series A funding from Kirloskar Group’s venture capital arm Snow Leopard Ventures, Singapore-based Alto Partners, GrowX Ventures, and a clutch of angel investors. The same month, Ahmedabad- and Bengaluru-based Lendingkart raised Rs 50 crore ($7.8 million) in debt from Yes Bank. Around the same time, online peer-to-peer lending platform LoanMeet secured seed funding from a clutch of investors, including Chinese entrepreneurs. Other startups that have raised funds in the lending space include LoanTap, Innoviti, Fincash, MoneyTap, Loan Frame, and Ftcash.